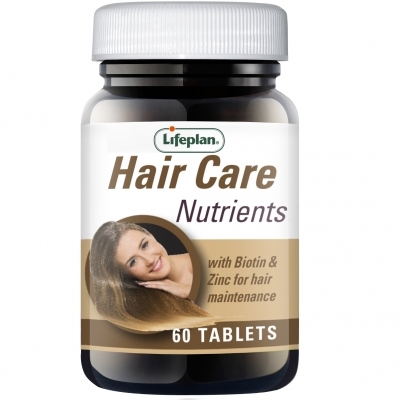 Protectocell Hair, Skin and Nails supplement provides a variety of vitamins and minerals which contribute to the maintenance of normal hair, skin and nails. 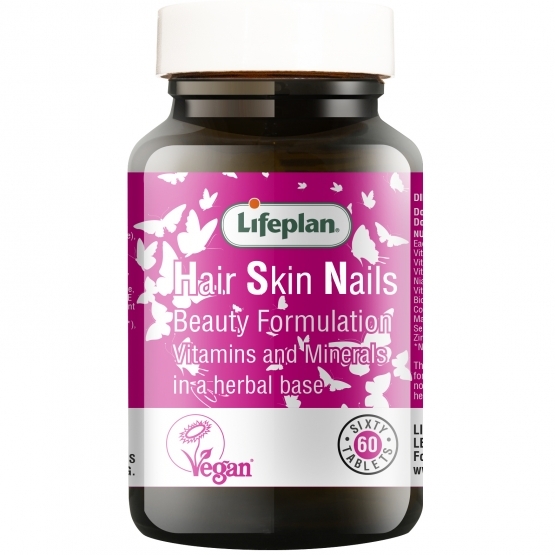 These nutrients have been prepared in a herbal base of Kelp and Horsetail, Echinacea and Aloe Vera. Take one tablet daily, preferably with food and a little liquid. Bulking Agents (Microcrystalline Cellulose, Dicalcium Phosphate), Vitamin C (Ascorbic Acid, Hydroxypropyl Methylcellulose), Echinacea Purpurea Root Powder, Kelp (Ascophyllum Nodosum), Aloe Vera (Aloe Barbadensis) Extract (200:1), Horsetail (Equisetum arvense) Standardised Extract (5:1), Yellow Coating (Hydroxy Propyl Methyl Cellulose, Titanium Dioxide, Polydextrose, Talc, Triglycerides, Yellow Iron Oxide), Vitamin E Succinate, Anti-caking Agent (Magnesium Stearate*), Zinc Oxide, Vitamin B3 (Nicotinamide), Anti-caking Agent (Stearic Acid*), Vitamin A Acetate, Cupric (Copper) Sulphate, Manganese Sulphate, Sodium Selenate, Vitamin B7 (D-Biotin), Vitamin B12 (Cyanocobalamin). added starch, yeast, flavourings or preservatives. Suitable for vegans. Hair Skin Nails x 60 has been added to your basket.